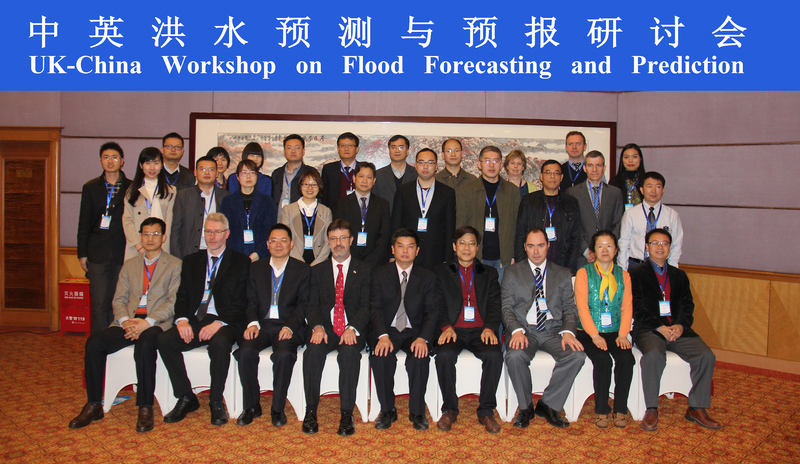 OU/CEES Professor Yang Hong was invited as keynote guest speaker for the inaugural "China-UK Flood Workshop on Forecasting and Prediction” hosted by Asian-Europe Meetings on Water Resources and Development Center (ASEM WATER), which is the executive office for the Asian-European S&T Cooperation in Water Resources Management, jointly declared by the European Union and Chinese then Premier Wen Jiabao at Brussels, Belgium since 2011, with more than 50 Asia-Eurpean State members. 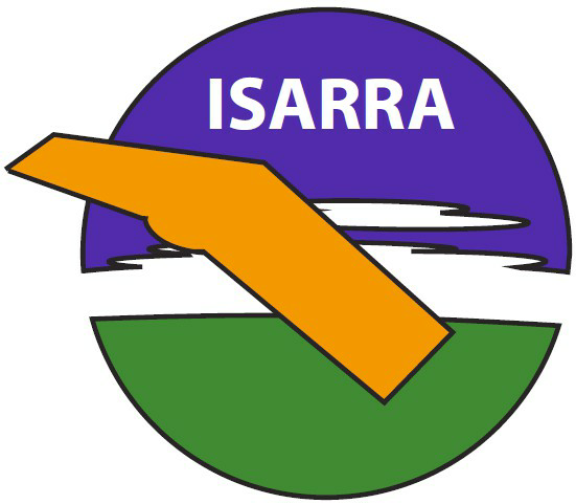 The 2015 Meeting of the International Society for Atmospheric Research using Remotely piloted Aircraft (ISARRA 2015) will be held on the University of Oklahoma campus during May 20th – 22nd. ISARRA was formed to provide a forum for those interested in using unmanned aerial systems (UAS) to investigate and observe the Earth’s atmosphere. ISARRA 2015 will provide a venue for a wide spectrum of individuals to exchange ideas, technological advances, and related experiences pertaining to this topic. During the first two ISARRA meetings held in Palma de Mallorca, Spain (2013) and Odense, Denmark (2014) scientists, engineers, system developers, policy makers, and others came together to discuss all aspects of UAS and their ability to be used for atmospheric studies. The events were very successful in helping to synthesize this growing community. ARRC Faculty Member Awarded Air Force's Young Investigator Research Program Award! The Air Force Office of Scientific Research today announced that it will award research institutions and small businesses who submitted winning research proposals through the Air Force's Young Investigator Research Program (YIP). The YIP is open to scientists and engineers at research institutions across the United States who received Ph.D. or equivalent degrees in the last five years and who show exceptional ability and promise for conducting basic research. The objective of this program is to foster creative basic research in science and engineering, enhance early career development of outstanding young investigators, and increase opportunities for the young investigators to recognize the Air Force mission and the related challenges in science and engineering. 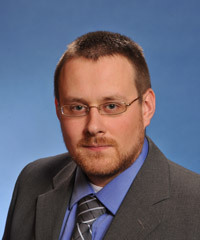 ARRC Faculty Member, Dr. Hjalti Sigmarsson, was awarded the YIP award for "Reconfigurable, high-Frequency Circuit Components using Phased Change Materials". The purpose of this research project is to develop new, innovative, electronically-tunable substrate materials. These materials will enable frequency and loss tuning of resonating elements that can be used to realize agile radio frequency hardware for future generations of communications and radar systems. Congratulations, Dr. Sigmarsson! Congratulations to Phillip Stepanian and his advisor, Dr. Phil Chilson!!! 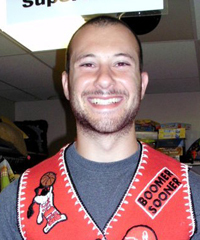 ARRC PhD student, Phillip Stepanian, was awarded and accepted a Marshall post-graduate Fellowship. The support from the Fellowship will allow Phillip to conduct biological radar research in the United Kingdom after completing his doctoral studies. Marshall Fellowships are prestigious and post-doctoral Fellowships are particularly competitive as they cut across all disciplines and awards are typically limited to one award per year for post-doctoral researchers across the US. Looking over the award winners of the past 15 years, Phillip appears to be the first atmospheric scientist to be awarded this honor in that time frame. Overview: Professors at the University of Oklahoma (OU) in the Advanced Radar Research Center (ARRC) invite potential graduate students to visit OU. Support for travel and lodging support is available. 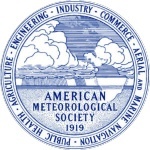 Recently, the American Meteorological Society announced its 2015 Award Winners, Fellow and Honorary Members. The Advanced Radar Research Center is proud to boast that faculty member and Executive Director, Dr. Bob Palmer is among the recipients to receive the fellowship award.Fellows are those persons that have made outstanding contributions to the atmospheric or related oceanic or hydrologic sciences or their applications during a substantial period of years. Fellows represent the top 0.2 % of the membership of the society. OU professors and Scientists received NASA Robert H. Goddard Award. 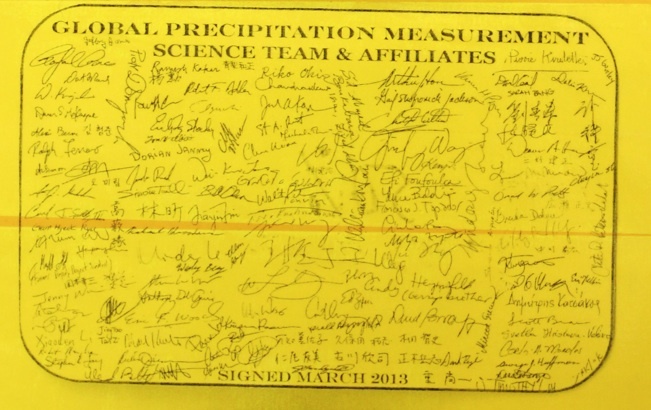 As part of the Global Precipitation Measurement Ground Validation Team, Drs. Pierre Kirstetter, Jonathan Gourley, and Yang Hong received the NASA Goddard Space Flight Center Robert H. Goddard Award , for the category of Exceptional Achievement in Science. These distinguished awards are given annually at NASA GSFC after an extensive nomination and review process. The award will be presented on March 17, 2015 at Goddard Space Flight Center. 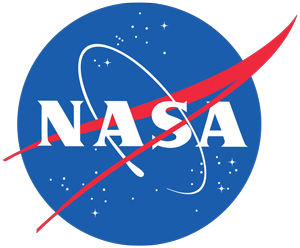 Dr. Yang Hong previously received NASA Headquarter Group Achievement Award in 2008. 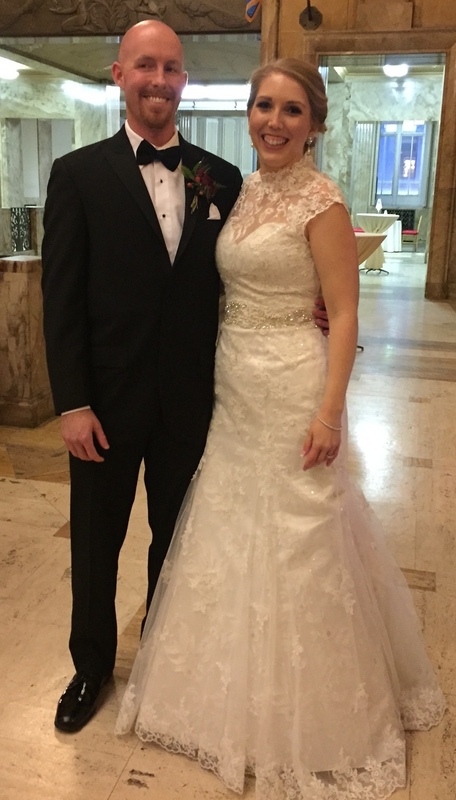 ARRC Faculty member, Dr. Jessica Ruyle, wed Joseph Howard last Saturday, January 3, 2015 at St. Mark the Evangelist Catholic Church in Norman, OK. Congratulations to the newlyweds!